Folate is an essential nutrient needed by the body. Other names for this nutrient include Folic Acid, Pteroylglutamic Acid and Folacin. It is recommended for people who are nineteen years or older to have at least 400 μg of folate everyday. In the body, folate becomes part of an enzyme compound which helps in converting energy from food. It reduces the possibility of a fetus developing spinal cord damage or brain damage in the first few weeks of pregnancy. Folate helps ensure the occurrence of cell division properly, as well as the proper formation of red blood cells. It is also involved in the conversion of vitamin B12 to its metabolic active form. Finally, folate helps fight against certain medical conditions like anemia and some cancers. Folate can be found in abundance in food. Examples of foods that are rich in folate include vegetables (green and leafy), fruit juices, citrus fruits, peas and dried beans. In the area of North America, refined grains like flour, rice and pasta are fortified with folate. Several studies have been made regarding the role of folate in the prevention or cure of certain diseases. A recent study even suggests that folate (obtained from natural sources, like food) can help prevent the development of pancreatic cancer. In this particular research, 81,000 individuals were observed for a period of over six years. After observation, it was found that those people who got at least 350 μg of folate from eating vegetables and fruits every day had a 75% lower risk for pancreatic cancer as compared to those people who only got 200 μg of folate. What was a surprising result was that people who were taking folate supplements had about the same level of risk as those who were not taking supplements. This study was published in March of 2006 by the National Institute for Cancer. Thus, it is recommended to get your daily dose of folate from food sources rather than taking in supplements. Eating at least five servings of vegetable or fruit, a deficiency in folate can be considered as rare. Another health study done that is related to folate concluded that folate supplements cannot prevent the occurrence of heart diseases and stroke. Prior to this conclusion, it had been thought of that folate can reduce the incidence of a heart attack. 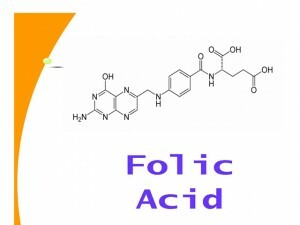 This is because folic acid, or folate, has the ability to regulate homocysteine. Homocysteine is said to be a major factor in the occurrence of heart diseases. The two studies that were published in March of 2006 both concluded that taking in supplements of folic acid did not significantly lower the risk of a heart attack. The studies also proved that lowering homocysteine levels in the body is not the answer to preventing heart attacks. Foods with folic acid in them include leafy green vegetables, fruits, dried beans, peas and nuts. Enriched breads, cereals and other grain products also contain folic acid. If you don’t get enough folic acid from the foods you eat, you can also take it as a dietary supplement.